Safavieh Handmade Venice Shag Luxurious Champagne Rug - 7'6" x 9'6"
Incredibly plush and silky soft, this lustrous champagne shag rug from Safavieh's Venice Shag Collection brings Euro style to living room, family room and bedroom décor. A feast for the senses, the glimmering yarns used to create the long, deep pile are super soft underfoot and a delightful cushion for the loud sounds of large, high-ceiling rooms. Hand-tufted using durable synthetic threads, this easy-care shag will add European flair to modern home décor year after year. I am OBSESSED with this rug! It looks so luxurious in my living room and adds a touch of glam. It’s super soft and true to color. If you happen to be debating between the Venice line and Paris line of rugs, I own both types and the Venice line incorporates both thick and thin fibers, giving it a thicker feel overall - I do still recommend a rug pad underneath however. This rug is amazing. Looks and feels exactly as described. My husband was shocked when I told him how little I paid for this perfect accent rug in our Living Room. This is a great rug. I got it to have a nice soft area for my baby to crawl in and it is perfect. Minimal shedding and are able to vacuum. I would definitely buy again! We are so happy with the rug! The champagne color compliments our beige tile floors and large enough to fit our large sectional on. The rug is very thick and comfortable to lay on, no pad needed. Also, very easy to clean, ran the small roller drapery attachment on my vacuum on it, didn’t shed when I cleaned it. 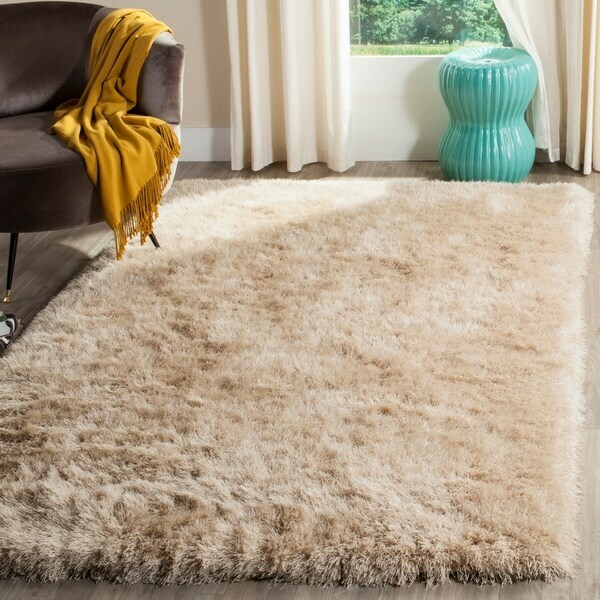 If you are looking for a beautiful, thick, comfy shag rug, the Venice is wonderful and will not disappoint! Ordered this rug for the front living room. I have very dark furniture and this beautiful champagne color really popped and made the room look so awesome. I have ordered Safavieh in the past and I am completely satisfied with this product. Love this rug ! Great quality and looks great in the living room . It’s soft plush and the fibres do not come away . My children love this rug and would highly recommend it ! looks as described. very happy with purchase. slight shedding, but worth it. 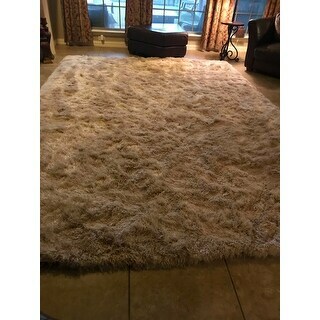 This champagne colored shag rug looks luxurious in my great room. It's so soft and adds so much class to the room. I only gave it 4 stars because the pile is so high I cannot sweep it with my stand up vacuum. It gets stuck in the rotator brush. I have to figure out how to sweep it. I dont want to send it back. Excellent rug! I’m excited with the purchase. It look wonderful in my formal dining room area. The color is exactly what I was looking for it matches my antique gold dining room set. Fabulous underfoot. At least 3" thickness. Color is a dark caramel champagne -- not ivory. It's very buff in color. Wonderful value. I returned mine because of the color and traded for ivory. But, it's a great piece. I was looking for something that would pick up on the variatuions in the travertine thoughout the house and bring it into the hardwood floors found in the great room. Huston, we have a winner! This carpet looks amazing on the cherry hardwood and does exactly what I was hoping. Thank you Overstock for saving me a few bucks over the other guy. You Rock! This rug is stunning. The only thing is the long shag gets snagged. This is in my bedroom so it's not a high traffic area but adds whimsy and depth. It looks stunning and every review says how beautiful it is! 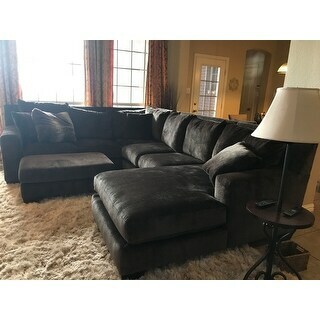 I wanted very plush and beautiful for my main living area (no kids) and this seems to be the perfect choice! I just redecorated entire home and I can't wait to get this!! "Can this rug be vacuumed safely? I had one similar, but got rid of it because it Continued to shed horribly well after break-in period. I’m wondering if I ruined it by vacuuming.... is this type only supposed to be shaken off or swept?" This rug is fantastic and ultra thick. i haven't used my ORECK on it, but use my hoover vacuum on it, and it hasn't shed a bit. my son spilled my red wine on it the other night, and i am shocked how well it came up with only dish soap. FYI as well that this paris rug is twice as thick than the venice rug i also purchased.